Centralized exchanges are being hacked and decentralized exchanges are gasping for liquidity. This is, in short, the story. And that’s true because we keep hearing about centralized exchange hacks like BitGrail or Mt. Gox while on the other hand, decentralized exchanges are nowhere to be seen even in the top 50 exchanges by volume on CMC. Moreover, there is another problem which both types of exchanges face – identifying and listing legit ICO tokens and coins – the solution to which hasn’t been found. Well, maybe until now. HADAX exchange, a subsidiary of Huobi Global is bringing forth a new idea of autonomous token listings. HADAX is the world’s first autonomous token listing exchange, and in this article, we will implore how it is different from other breeds of exchanges. Hadax a.k.a. 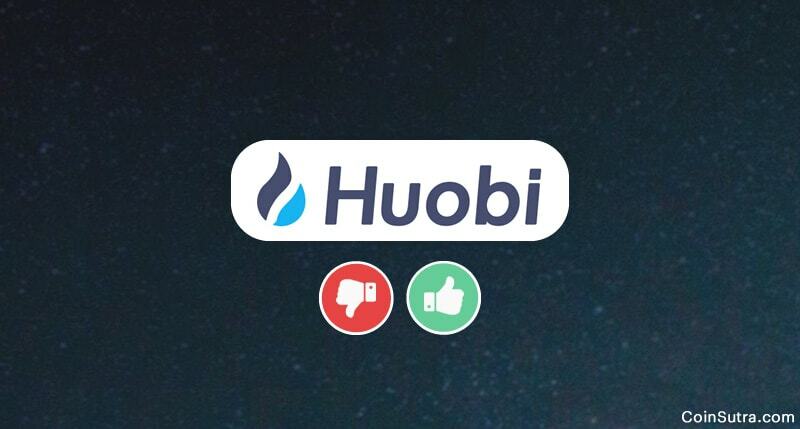 Huobi Autonomous Digital Asset Exchange is an autonomous token listing exchange where users of the platform decide by voting on tokens that are to be listed. 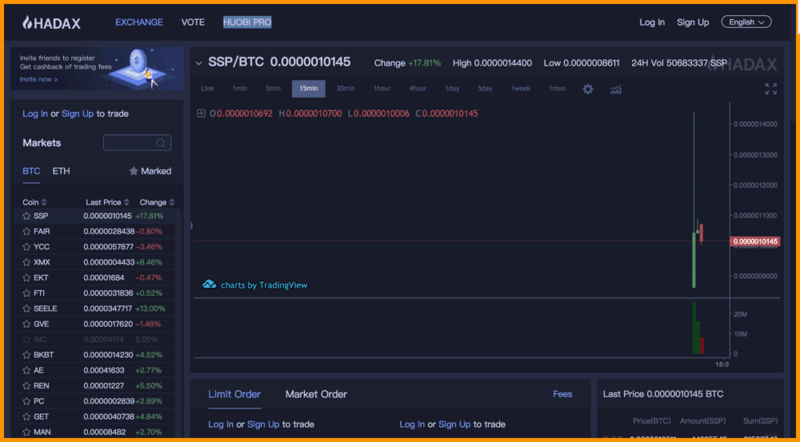 However, it is important to understand that it is not a decentralized exchange but an autonomous and governable exchange that lists its tokens based on community voting. It only lists ERC20 tokens as of now and has developed HT tokens (Huobi Token) for its governance. Here, HT token holders vote using HT on a token they want to list for trading on HADAX (more on HT Token later). And this autonomy has several benefits such as credibility, time management, transparency and it also provides good exposure to legit projects. In the last one year, we have seen an explosion in the number of ICOs and token sales which makes it difficult for centralized and decentralized exchanges to vet so many numbers of projects. And Huobi also suffers from this time consuming due diligence process that it wants to simplify. And that’s why with Hadax, Huobi wants to distribute that due diligence responsibility to the users i.e., the traders themselves. The idea is to save time, money, human resources for Huobi and provide a vetted and legit list of tokens for trade. You can say it is a win-win situation for both of them. There are some more benefits for Huobi Pro as well if Hadax follows this process which we will discuss further in this article. Using HT tokens, one can participate in votings for project listings on Hadax. One vote will cost 0.1 HT which is also refundable later to the voter. One voter can cast a maximum of 100,000 votes. 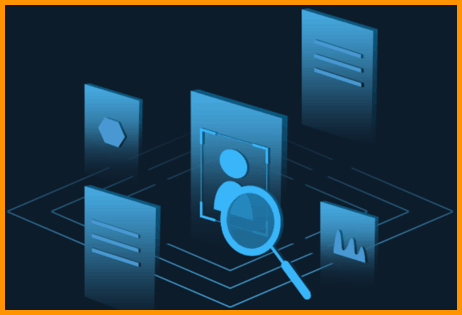 Through this mechanism, project teams can set up their own incentive rules and distribute the incentives among the voters in proportion to the number of votes after the token is listed. For example, Project A sets an incentive of 1 million tokens, and the users cast 1 million votes during the voting, then one token will be rewarded for each vote. Teams can adjust the incentives during the voting process. However, the incentives can only be increased, not decreased. 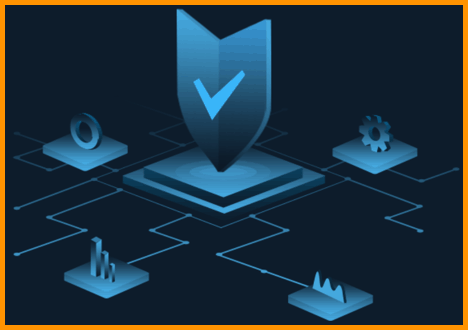 Super Voting Nodes are professional investment organizations with excellent reputation introduced by HADAX, whose main responsibility is to assist HADAX in professional voting and evaluation of the projects applying for the listing. 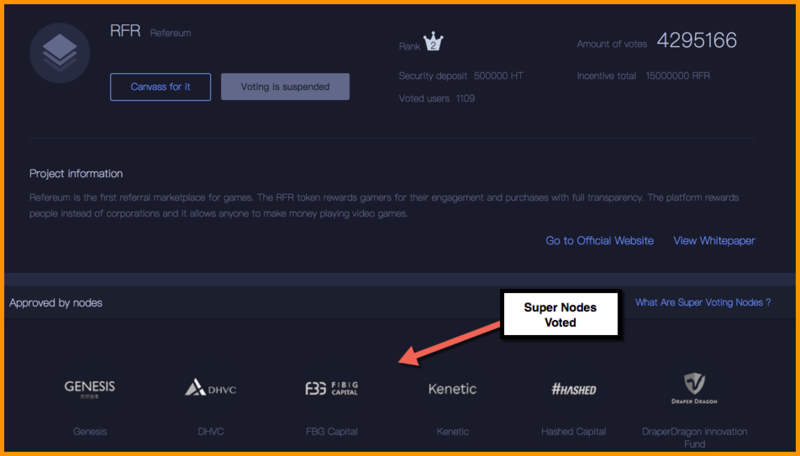 Supernodes will vote under real names and their votes represent their recommendations for HADAX listing. (Source- Hadax Website). This is the preliminary form of voting which happens on Hadax, post which the public voting of projects is opened as it gives an extra layer of scrutiny to the project before public votes on it. 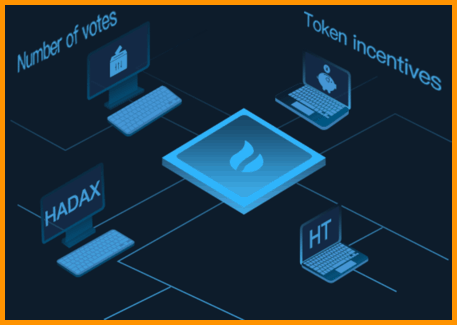 HT tokens are also taken from the projects that wish to get listed on Hadax for voting. Projects are required to pay 500,000 HT as a deposit. The deposit will be returned to teams regularly over the next 12 months. This return starts from the second month when the voting is live. The deposit will be paid to users as compensation if in case the project is eligible for the delisting conditions such as team being dismissed, or the team asks to be delisted, or there is not enough liquidity, or the token is suddenly chain split, or the team violates the law or regulations etc. The Huobi compliance and risk team will perform its preliminary checks covering from token details, legal risks, and other areas. Only tokens based on ERC20 can be listed on HADAX currently. Professional investment organizations with an excellent reputation in the industry will cast their votes during this phase as a recommendation for listing on Hadax. Public voting will begin after the projects with sufficient super votes is vetted. Here, the public can vote and receive rewards in return for their votes. The project with the maximum number of votes gets listed on Hadax. Another cool USPs of the Hadax and Huobi Pro exchange is that it provides Huobi User Protection Fund by buying back HT tokens from the market. This user fund is like insurance for users of Huobi ecosystem, and this is important to protect traders from unforeseeable events such as exchange hacks, project shutdowns, project exit scams, etc. As per plans, Huobi will use 20% of its quarterly profits to buy back HT tokens from the market. These tokens will then be locked in a cold wallet to create Huobi User Protection Fund. Hadax, being a Huobi product, provides almost the same benefits and support (24×7) and can be reached out through the Zendesk ticketing system for resolving any issues. Here is the link for the same. 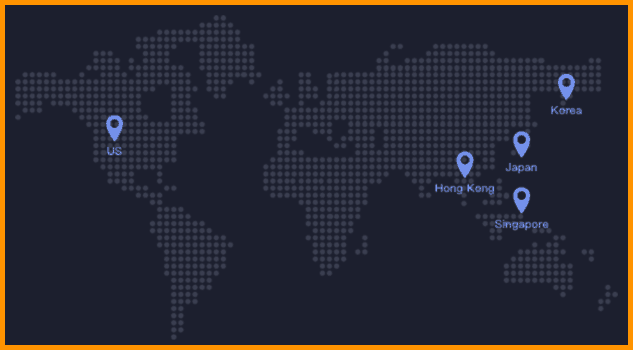 Hadax also provides trading support in more than 130 countries and has opened trading offices and operation centers in Singapore, United States, Japan, Korea, Hong Kong and many other countries. It also supports 13 languages to serve customers in above-mentioned countries. If you have an account on Huobi Pro, you can directly log in to HADAX using the same credentials. If not, you can register using your email ID and by setting a strong security password. You might also want to submit your documents for KYC for higher withdrawal limits. Lastly, the UI is the same for HADAX as you have for Huobi Pro, so you get the corresponding trading interval charts and indicators here also, but obviously for HADAX approved tokens. Note: Since tokens listed on HADAX are in the early stage and have higher risks, user admittance standards are established. HADAX will only be opened to professional users with a certain experience. Hadax is definitely an exchange worth looking at because this kind of approach has never been taken in the cryptosphere before. And with the increase in marketing efforts by Huobi, an increase in its value in the future will not come as a surprise. Moreover, such scrutiny layers will protect investors, as well as ease the process of listing new tokens and coins for exchanges. In the future, if this approach becomes successful, you might see more exchanges resorting to such solutions as proposed by Hadax or Huobi. Lastly, HT token has a strong use case, but its success will be decided by its demand and supply. But as of now, by comparing it with other exchanges that have native tokens, HT looks like it has an excellent chance to grow. Now it’s time to hear from you: What do think about Hadax exchange and HT token? Are you invested in HT Token? Do think it will be better than Binance or KuCoin? Do let me know your thoughts in the comments section below! I wanna know that according to current situation in india about cryptosphere . How can we get money back ? ?